Veni Vidi Vino Italy is about exploring the wines, grapes, and wine culture of Italy. This is for everyone, avid drinkers, vintners, and vino newbies are all welcome. Growing up in a family of first and second generation Italians, it would be an understatement to say that wine was merely “around” during my youth. I think fondly of growing up surrounded by resourceful Italo-Americans that served homemade wine with homemade pasta, rum, and desserts dripping in brandies and amaretto. In college I shamelessly enjoyed cheap supermarket reds, which I sipped while dying my hair in my sleepy studio apartment. As an undergrad student in Italy my professors and classmates quickly caught on to something and awarded me an actual certificate as the class “WINO” (an honor, to be sure, from a Tuscan University). And some years later on in Rome, I discovered the depth, complexity, and importance of wine, its history and culture…and that just maybe this is what Bacchus had intended for me all along. 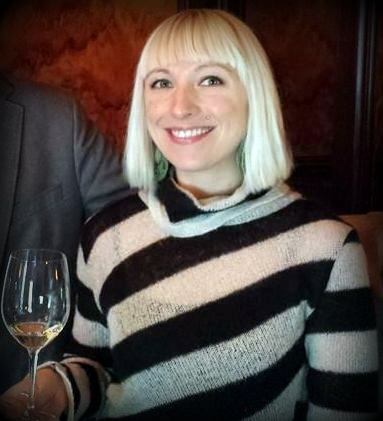 Officially: Aubrie Talarico is an American/Italian (Ex)Expat, WSET accredited Wine & Spirits Specialist. She lived in Rome for the better part of a decade where she worked in education and specialized wine and food tourism (namely with LivItaly Tours LLC and ViniCulturalTours). Aubrie currently resides in Providence, Rhode Island where she has worked as a corporate Wine and Beverage Director for upscale restaurants and currently enjoys her role as the Manager and consultant for a boutique wine, spirits, and beer shop. Ciao-wdy! Sure thing! I typically only go to Boston for exams but next time I’ll be sure to let you know!